Therapeutic Ultrasound - Pamela Morrison Pelvic Pain Physical Therapist, P.C. Therapeutic Ultrasound - Pamela Morrison Pelvic Pain Physical Therapist, P.C. Therapeutic ultrasound is a modality used by physical therapists since the 1940’s and is used to treat pain and inflammation and scar tissue. 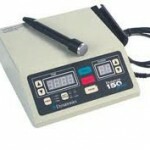 It is applied using a round-headed wand or probe that is put in direct contact with the patient’s skin. Ultrasound gel is used on all surfaces of the head in order to reduce friction and assist in the transmission of the ultrasonic waves. The waves are generated by a piezoelectric effect caused by the vibration of crystals within the head of the wand/probe. This vibration can cause a deep heating at the treatment site though usually no sensation of heat is felt by the patient. Ultrasound can also be used to achieve phonophoresis. This is a non-invasive way of administering medications to tissues below the skin because the ultrasonic energy forces the medication through the skin and is perfect for those fearful of injections. A typical ultrasound treatment will take from 3-6 minutes and longer for larger areas or in cases where scar tissue breakdown is the goal. During the treatment the head of the ultrasound probe is kept in constant motion creating a massage-like sensation. This modality can be used in acute or chronic pelvic pain and for scar tissue resulting from surgery such as C-section or episiotomy. At Pamela Morrison Physical Therapy, this modality is used as an adjunct to our expert manual therapies to achieve rehab goals.